Join us for beer! We pick up at Union Station and set out into the foothills. Great tour for those wanting to get out of the city and into the mountains, where some of the best beer is made. Tour includes 3 breweries and several tastings. You drink, we’ll drive. Perfect way to get out of the city and into the mountains! Guided tour of brewery and several tastings included! Fun guide with local connections to provide the best brewery tour! Visit a local favorite brewery in the historic mountain town of Golden. And if you like beer, you’ll love Golden. The town is known for several craft breweries and has rich history in brewing. Next we'll drive up Clear Creek Canyon to the mining town of Idaho Springs. 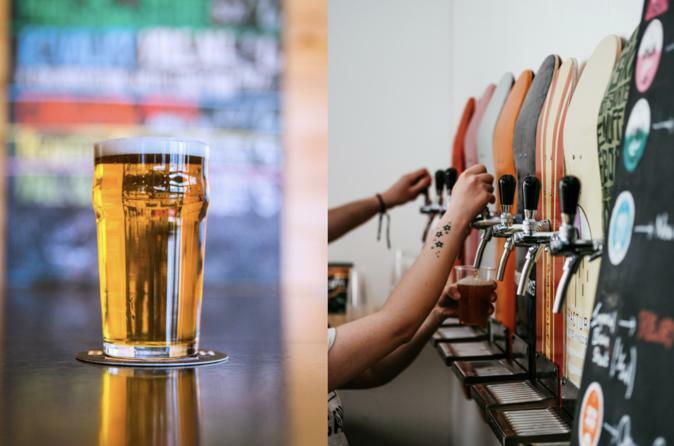 We’ll head to a brewery where you’ll learn about the Colorado brewing scene, sample some killer beers, and most likely walk away a little happier. Finally, end your tour at a favorite Denver brewery in the heart of the city! The breweries we’ll visit have been chosen by our guides. They are the places they love most for variety of beers, atmosphere, and location.